Dwarves: +2 Constitution, +2 Wisdom, -2 Charisma. These short and stocky defenders of mountain fortresses are often seen as stern and humorless. Known for mining the earth’s treasures and crafting magnificent items from ore and gemstones, they have an unrivaled affinity for the bounties of the deep earth. Dwarves also have a tendency toward traditionalism and isolation that sometimes manifests as xenophobia. Elves: +2 Dexterity, +2 Intelligence, -2 Constitution. Tall, noble, and often haughty, elves are long-lived and subtle masters of the wilderness. Elves excel in the arcane arts. Often they use their intrinsic link to nature to forge new spells and create wondrous items that, like their creators, seem nearly impervious to the ravages of time. A private and often introverted race, elves can give the impression they are indifferent to the plights of others. Gnomes: +2 Constitution, +2 Charisma, -2 Strength. Expatriates of the strange land of fey, these small folk have a reputation for flighty and eccentric behavior. Many gnomes are whimsical artisans and tinkers, creating strange devices powered by magic, alchemy, and their quirky imagination. Gnomes have an insatiable need for new experiences that often gets them in trouble. Half-Elves: +2 to one ability score of your choice. Often caught between the worlds of their progenitor races, half-elves are a race of both grace and contradiction. Their dual heritage and natural gifts often create brilliant diplomats and peacemakers, but half-elves are often susceptible to an intense and even melancholic isolation, realizing that they are never truly part of elven or human society. Half-Orcs: +2 to one ability score of your choice. Often fierce and savage, sometimes noble and resolute, half-orcs can manifest the best and worst qualities of their parent races. Many half-orcs struggle to keep their more bestial natures in check in order to epitomize the most heroic values of humanity. Unfortunately, many outsiders see half-orcs as hopeless abominations devoid of civility, if not monsters unworthy of pity or parley. 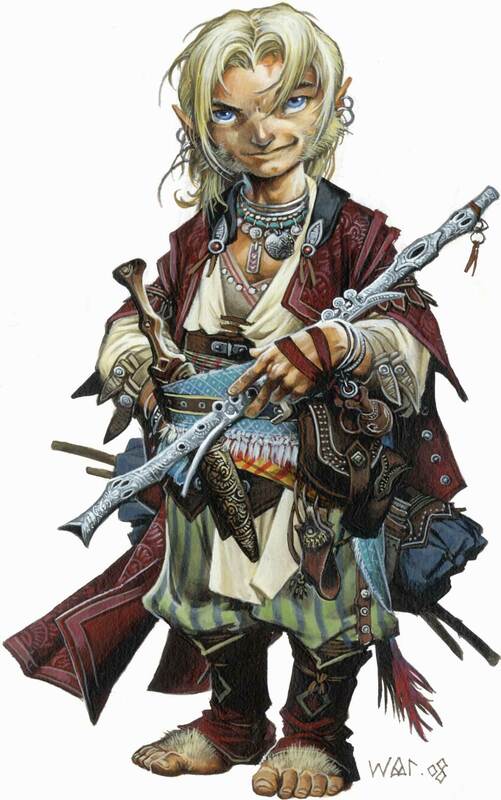 Halflings: +2 Dexterity, +2 Charisma, -2 Strength. Members of this diminutive race find strength in family, community, and their own innate and seemingly inexhaustible luck. While their fierce curiosity is sometimes at odds with their intrinsic common sense, halflings are eternal optimists and cunning opportunists with an incredible knack for getting out the worst situations. Humans: +2 to one ability score of your choice. Ambitious, sometimes heroic, and always confident, humans have an ability to work together toward common goals that makes them a force to be reckoned with. Though short-lived compared to other races, their boundless energy and drive allow them to accomplish much in their brief lifetimes. Aasimars: +2 Wisdom, +2 Charisma. (NOTE: alternate aasimar heritages are NOT allowed.) Creatures blessed with a celestial bloodline, aasimars seem human except for some exotic quality that betrays their otherworldly origin. While aasimars are nearly always beautiful, something simultaneously a part of and apart from humanity, not all of them are good, though very few are evil. Catfolk: +2 Dexterity, +2 Charisma, -2 Wisdom. A race of graceful explorers, catfolk are both clannish and curious by nature. They tend to get along with races that treat them well and respect their boundaries. They love exploration, both physical and intellectual, and tend to be natural adventurers. Dhampirs: +2 Dexterity, +2 Charisma, -2 Constitution. The accursed spawn of vampires, dhampirs are living creatures tainted with the curse of undeath, which causes them to take damage from positive energy and gain healing from negative energy. While many members of this race embrace their dark sides, others are powerfully driven to rebel against their taint and hunt down and destroy vampires and their ilk. Drow: +2 Dexterity, +2 Charisma, -2 Constitution. Dark reflections of surface elves, drow are shadowy hunters who strive to snuff out the world’s light. Drow are powerful magical creatures who typically serve demons, and only their chaotic nature stops them from becoming an even greater menace. A select few forsake their race’s depraved and nihilistic society to walk a heroic path. Fetchlings: +2 Dexterity, +2 Charisma, -2 Wisdom. Long ago, fetchlings were humans exiled to the Shadow Plane, but that plane’s persistent umbra has transformed them into a race apart. These creatures have developed an ability to meld into the shadows and have a natural affinity for shadow magic. Fetchlings—who call themselves kayal—often serve as emissaries between the inhabitants of the Shadow Plane and the Material Plane. Goblins (-1 LEVEL ADJUSTMENT IN GUILD IF YOUR CHARACTER ADDS DEXTERITY TO DAMAGE): +4 Dexterity, -2 Strength, -2 Charisma. Crazy pyromaniacs with a tendency to commit unspeakable violence, goblins are the smallest of the goblinoid races. While they are a fun-loving race, their humor is often cruel and hurtful. Adventuring goblins constantly wrestle with their darkly mischievous side in order to get along with others. Few are truly successful. Hobgoblins: +2 Dexterity, +2 Constitution. These creatures are the most disciplined and militaristic of the goblinoid races. Tall, tough as nails, and strongly built, hobgoblins would be a boon to any adventuring group, were it not for the fact that they tend to be cruel and malicious, and often keep slaves. Ifrits: +2 Dexterity, +2 Charisma, -2 Wisdom. Ifrits are a race descended from mortals and the strange inhabitants of the Plane of Fire. Their physical traits and personalities often betray their fiery origins, and they tend to be restless, independent, and imperious. Frequently driven from cities for their ability to manipulate flame, ifrits make powerful fire sorcerers and warriors who can wield flame like no other race. Kobolds: +2 Dexterity, -4 Strength, -2 Constitution. Considering themselves the scions of dragons, kobolds have diminutive statures but massive egos. A select few can take on more draconic traits than their kin, and many are powerful sorcerers, canny alchemists, and cunning rogues. Orcs (-1 LEVEL ADJUSTMENT IN GUILD): +4 Strength, -2 Intelligence, -2 Wisdom, -2 Charisma. 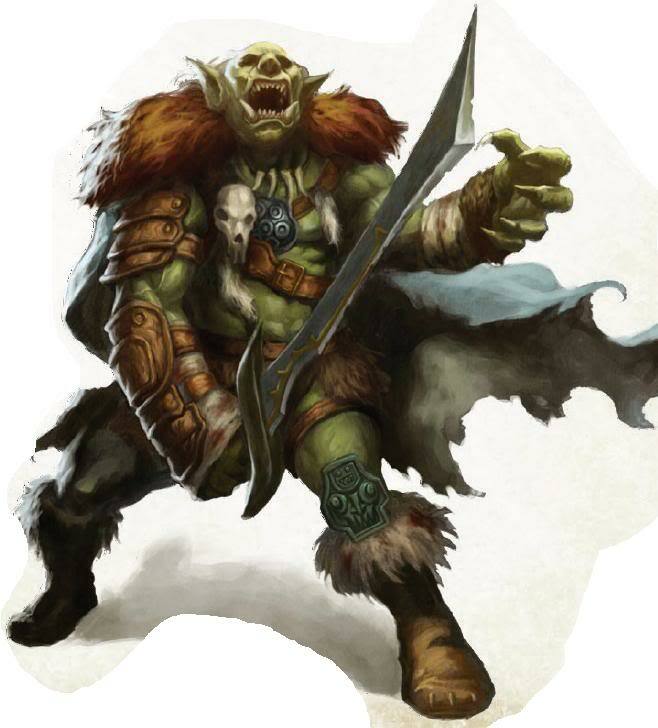 Savage, brutish, and hard to kill, orcs are often the scourge of far-flung wildernesses and cavern deeps. Many orcs become fearsome barbarians, as they are muscular and prone to bloody rages. Those few who can control their bloodlust make excellent adventurers. Oreads: +2 Strength, +2 Wisdom, -2 Charisma. Creatures of human ancestry mixed with the blood of creatures from the Plane of Earth, oreads are as strong and solid as stone. Often stubborn and steadfast, their unyielding nature makes it hard for them to get along with most races other than dwarves. Oreads make excellent warriors and sorcerers who can manipulate the raw power of stone and earth. Ratfolk: +2 Dexterity, +2 Intelligence, -2 Strength. These small, ratlike humanoids are clannish and nomadic masters of trade. Often tinkers and traders, they are more concerned with accumulating interesting trinkets than amassing wealth. Ratfolk often adventure to find new and interesting curiosities rather than coin. Sylphs: +2 Dexterity, +2 Intelligence, -2 Constitution. Ethereal folk of elemental air, sylphs are the result of human blood mixed with that of airy elemental folk. Like ifrits, oreads, and undines, they can become powerful elemental sorcerers with command over their particular elemental dominion. They tend to be beautiful and lithe, and have a knack for eavesdropping. Tengus: +2 Dexterity, +2 Wisdom, -2 Constitution. These crowlike humanoid scavengers excel in mimicry and swordplay. Flocking into densely populated cities, tengus occasionally join adventuring groups out of curiosity or necessity. Their impulsive nature and strange habits can often be unnerving to those who are not used to them. Tieflings: +2 Dexterity, +2 Intelligence, -2 Charisma. (NOTE: alternate tiefling heritages are NOT allowed.) Diverse and often despised by humanoid society, tieflings are mortals stained with the blood of fiends. Other races rarely trust them, and this lack of empathy usually causes tieflings to embrace the evil, depravity, and rage that seethe within their corrupt blood. A select few see the struggle to smother such dark desires as motivation for grand heroism. Undines: +2 Dexterity, +2 Wisdom, -2 Strength. Like their cousins, the ifrits, oreads, and sylphs, undines are humans touched by planar elements. They are the scions of elemental water, equally graceful both on land and in water. Undines are adaptable and resistant to cold, and have an affinity for water magic. Changelings: +2 Wisdom, +2 Charisma, -2 Constitution. The offspring of hags and their mortal lovers, changelings are abandoned and raised by foster parents. Always female, changelings all hear a spiritual call during puberty to find their true origins. Tall and slender, with dark hair and eyes mismatched in color, changelings are eerily attractive. Duergar: +2 Constitution, +2 Wisdom, -4 Charisma. Gray skinned, deep-dwelling dwarves who hate their lighter skinned cousins, duergar view life as constant toil ending only in death. Though these dwarves are typically evil, honor and keeping one’s word means everything to them, and a rare few make loyal adventuring companions. Gillmen: +2 Constitution, +2 Charisma, -2 Wisdom. Survivors of a land-dwelling culture whose homeland was destroyed, gillmen were saved and transformed into an amphibious race by the aboleths. Though in many ways they appear nearly human, gillmen’s bright purple eyes and gills set them apart from humanity. Reclusive and suspicious, gillmen know that one day the aboleths will call in the debt owed to them. Gripplis: +2 Dexterity, +2 Wisdom, -2 Strength. Furtive frogfolk with the ability to camouflage themselves among fens and swamps, gripplis typically keep to their wetland homes, only rarely interacting with the outside world. Their chief motivation for leaving their marshy environs is to trade in metal and gems. Kitsune: +2 Dexterity, +2 Charisma, -2 Strength. These shapeshifting, foxlike folk share a love of mischief, art, and the finer things in life. They can appear as a single human as well as their true form, that of a foxlike humanoid. 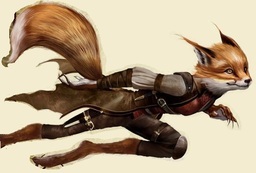 Kitsune are quick-witted, nimble, and gregarious, and because of this, a fair number of them become adventurers. Merfolk: +2 Dexterity, +2 Constitution, +2 Charisma. These creatures have the upper torso of a well-built and attractive humanoid and a lower half consisting of a finned tail. Though they are amphibious and extremely strong swimmers, their lower bodies make it difficult for them to move on land. Merfolk can be shy and reclusive. Typically keeping to themselves, they are distrustful of land-dwelling strangers. Nagaji: +2 Strength, +2 Charisma, -2 Intelligence. It is believed that nagas created the nagaji as a race of servants and that the nagaji worship their creators as living gods. Due to their reptilian nature and strange mannerisms, these strange, scaly folk inspire fear and wonder in others not of their kind. They are resistant to both poison and mind-affecting magic. Samsarans: +2 Intelligence, +2 Wisdom, -2 Constitution. Ghostly servants of karma, samsarans are creatures reincarnated hundreds if not thousands of times in the hope of reaching true enlightenment. Unlike humans and other races, these humanoids remember much of their past lives. Strix (LEVEL 5+ REQUIRED IN GUILD, -1 LEVEL ADJUSTMENT, or HAVE 54,000 LESS GOLD, or if level 9+ then HAVE 2 FEWER FEATS): +2 Dexterity, -2 Charisma. Hunted to dwindling numbers by humans, who see them as winged devils, strix are black-skinned masters of the nighttime sky. Their territorial conflicts have fueled their hatred for humans. This longstanding feud means that these nocturnal creatures often attack humans on sight. Sulis: +2 Strength, +2 Charisma, -2 Intelligence. Also called suli-jann, these humanoids are the descendants of mortals and jann. These strong and charismatic individuals manifest mastery over elemental power in their adolescence, giving them the ability to manipulate earth, fire, ice, or electricity. This elemental power tends to be reflected in the suli’s personality as well. Svirfneblins (-1 LEVEL ADJUSTMENT IN GUILD): -2 Strength, +2 Dexterity, +2 Wisdom, -4 Charisma. Gnomes who guard their hidden enclaves within dark tunnels and caverns deep under the earth, svirfneblin are as serious as their surface cousins are whimsical. They are resistant to the magic of the foul creatures that share their subterranean environs, and wield powerful protective magic. Svirfneblin are distrustful of outsiders and often hide at their approach. Vanaras: +2 Dexterity, +2 Wisdom, -2 Charisma. These mischievous, monkeylike humanoids dwell in jungles and warm forests. Covered in soft fur and sporting prehensile tails and handlike feet, vanaras are strong climbers. These creatures are at home both on the ground and among the treetops. Vishkanyas: +2 Dexterity, +2 Charisma, -2 Wisdom. Strangely beautiful on the outside and poisonous on the inside, vishkanyas see the world through slitted serpent eyes. Vishkanyas possess a serpent’s grace and ability to writhe out of their enemies’ grasp with ease. Vishkanyas have a reputation for being both seductive and manipulative. They can use their saliva or blood to poison their weapons. Wayangs: +2 Dexterity, +2 Intelligence, -2 Wisdom. The small wayangs are creatures of the Plane of Shadow. They are so attuned to shadow that it even shapes their philosophy, believing that upon death they merely merge back into darkness. The mysteries of their shadowy existence grant them the ability to gain healing from negative energy as well as positive energy. The Race Builder and races NOT listed above are NOT allowed as Guild characters. However, the GM of a Guild Campaign may allow them with the Grandmaster’s permission.